Product throughput of the CVC system is ideal for many applications. For pilot production the CVC system is unsurpassed and uses the same system for process and development. 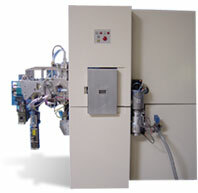 The CVC sputtering systems can process substrate pallets one at a time through the optional robotic chamber slit valve. The CONNEXION Cluster Tool provides an excellent platform for process development and rapid transfer into production. The modular design also enables simple upgrades and extendibility as the process and throughput requirements change over time. 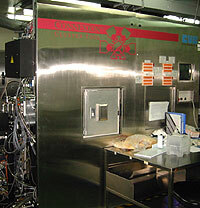 system has been designed with maximum thin film sputtering process flexibility as major objective. For the research and development scientist or production process engineer, the CVC 611 is an ideal tool for dependable cost effective operation. The CVC 601 is a totally flexible sputtering system with RF diode RF magnetron, DC diode, DC triode, and DC magnetron sputtering modes. 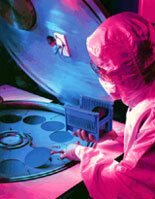 RF bias and RF sputter etch are also available as options. The CVC CONNEXION Cluster Tool meets customer requirements for high-productivity, clean wafer processing, integrated processing schemes, improved process controls and low cost of ownership..